Students can learn how to write code to control products from Lego, Parrot, Sphero, and more. When Apple released Swift Playgrounds in 2016, it opened the world of coding to kids (and adults) who thought just the idea of creating an app was intimidating. Swift Playgrounds makes codes approachable and fun to learn, combining tutorials, a touch interface, and “challenges” on an iPad that anyone can use for free. While Swift Playgrounds can be a very satisfying experience that results in your very own app, technology moves forward—we’re now in a world where drones and robots are prevalent. 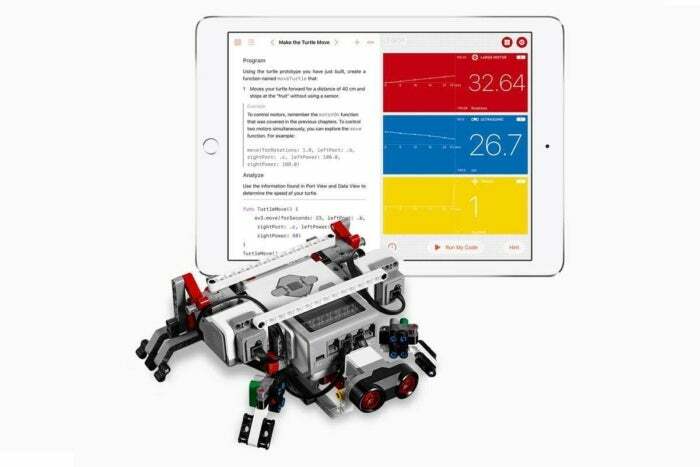 With that in mind, Apple on Wednesday announced Swift Playgrounds version 1.5, which includes tools that teach students how to control drones and robots over Bluetooth using an iPad. Swift Playgrounds 1.5 gives users the ability to program dance moves based on beats per minute with Ubtech’s Jimu Robot MeeBot Kit. The new program gives teachers access to Swift Playgrounds curriculum that works with a number of robots and drones, including products from Lego, Parrot, Sphero, Ubtech Robotics, and Wonder Workshop. Since Swift is an open-source language, Apple says that makes it easy for other companies to jump on the bandwagon. The addition of drone and robot support expands Swift Playgrounds’ content library, and the direct results experienced by students can be satisfying and help maintain interest in coding. “Kids know the difference between writing something that’s real and writing something that’s not real,” said Cheryl Thomas, Apple VP of Engineering, Swift Playgrounds, during a press event. 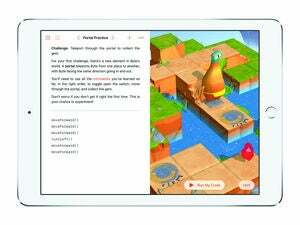 Starting on June 5 (the first day of Apple’s 2017 Worldwide Developers Conference), educators will be able to access the new Swift Playgrounds 1.5 as a free download in the App Store. The app requires iOS 10 or later, and can run on all iPad Air and iPad Pro models, as well as the iPad mini 2. Support is provided through Apple’s Education program, which includes Professional Learning Specialists to help with the lessons. Parrot drones can be programmed with Swift Playgrounds 1.5 to follow a flight pattern and perform tricks. Since its introduction in 2014, Swift has been embraced by software developers. Apple said that over 250,000 apps have been created using Swift. The company is also excited by Swift Playgrounds; at the version 1.5 event, Apple representatives said the over a million unique users have used the learning software. The Swift Playgrounds 1.5 announcement comes about a week after Apple released App Development with Swift, a year-long curriculum for educators interested in teaching Swift software development. The curriculum is available for free in the iTunes Store.